Our Autoresponder Systems manages all of your leads and automatic follow up. You pick the website that your new lead is redirected to and you will receive a text message with your new contacts information while they are on your website. Just click or email your new prospect while they are already on your website reading your offer. 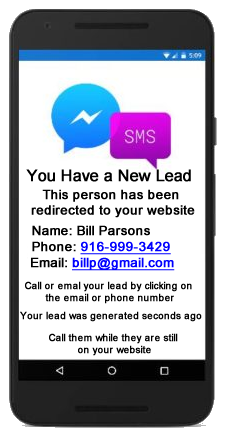 In addition you get all of your leads delivered daily in a standard CSV file so you will have your leads on your mobile device for quick and easy follow up. Your leads will also be added to your contact management system. With most generated leads you have to call your prospect and get them to take the time to look at your offer. With our system they are already there. All you have to do is direct them and answer there questions. Typically you are calling through a list of leads that may or may not be home and they may not be interested in talking with you at the moment. With our Real Time SMS Notification they are always ready to talk and they are interested! If you are busy when you get the notification your prospect information is still available on your phone or stored in your contact manager. So How Do Redirected Leads Work? Who Can Use Our Redirected Leads? If you have an online business you will benefit from our redirected leads. If you are selling a digital product then our redirected leads will work for you too. Call them while they are hot and close the sale. You can direct the customer where you want them while they are already looking at your website. 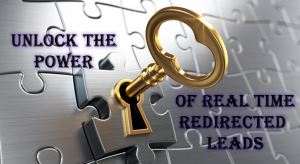 The ability to talk with your prospect when their curiosity is peaked is the key to the power of our redirected leads. You will never have to remind them what form they filled out or what website they were on when they filled out a form. They will still be there when you call them! 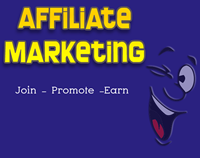 Any home based business can be built with our redirected leads. Since you select the website that they are redirected to you can build any business. We have been building lead generation systems since the early days of the internet and we have been helping some of the biggest names in Network Marketing. Over the years we have seen how difficult and time-consuming it can be for the average marketer convert leads into sales and sign ups. The best time to convert a lead is when they have peak interest in your opportunity or product. That is what redirected leads will do for you. With our direct SMS notification you can compete with the biggest marketers that pay a call center for the leads.We have taken the time to test our system so that you can convert quickly and with consistency. “if you need steady traffic, good leads and great service, work with this system, PERIOD! “I’ve known Glenn since 1985, he’s honest and sincere and has been a good friend. I’ve used The My Total Success System with great results and I would highly recommend it!